When you’re an altricial baby bird, life is either great or over. If it isn’t over—that is, assuming you aren’t eaten by a mouse, chipmunk, snake, slug, coyote, etc.—then your life is sitting still in the warm and having food shoved in your face. Excellent. 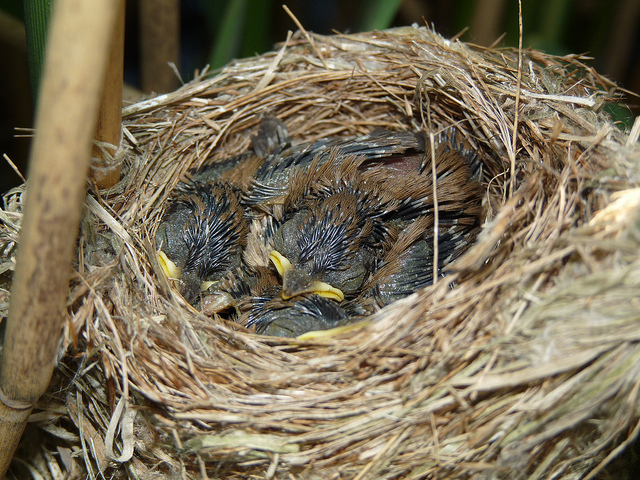 Reed Warbler chicks. This is the life. But that doesn’t last. After you fledge, your parents keep feeding you, but soon they start feeding you less. You can follow them around begging, but soon even that doesn’t do any good. You have to face it: you need to learn how to catch your own food. But that food flies and crawls and runs away! Doesn’t matter. I can catch it. We tend to think of wild animals as “instinctually” being able to do everything they do, but in fact, a lot of those skills have to be learned and practiced. 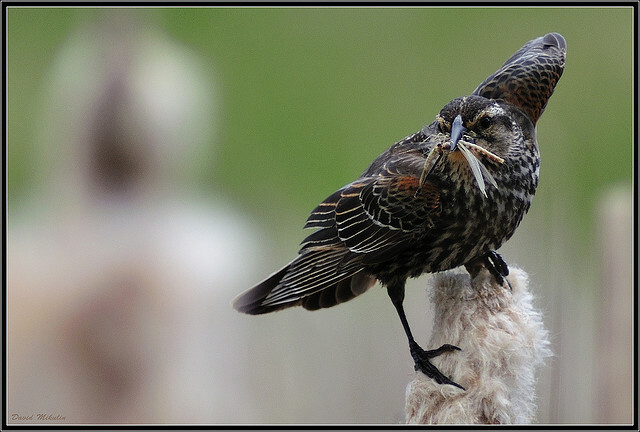 Two of my favorite scientific papers looked at how fledgling birds developed their foraging skills. As adults, they were the expert bug-catchers you see all the time; but as fledglings, they did—well, about as well as the four-year-old child of a champion fisherman would do, the first time you handed her the fishing rod.